Some people I knew saw my wide range 8 speed cassette and asked me to make them a 9 speed one. Over the past while I’ve heard it being called for again and again. 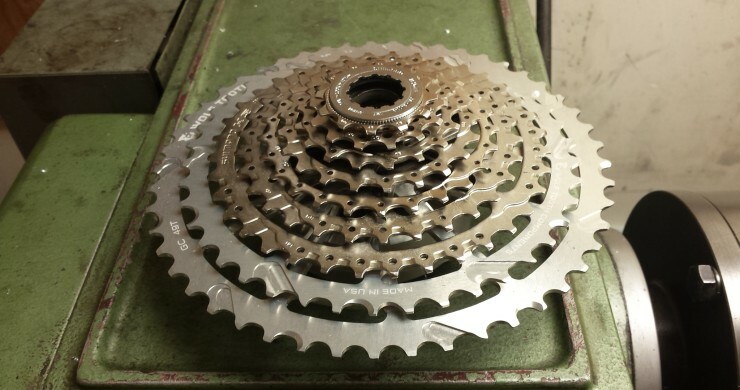 Why don’t they make a high quality 8 speed drivetrain? You could bang shifts out with confidence every time because of the longer cable pull for each shift. There would be lots of allowance for all types of bad stuff like if the ride gets muddy, the cable gets corroded or if you bend your derailleur hanger. You could ride through a swamp and the thing would just keep on working. Chains would return to being thicker and wouldn’t break as often. And how about if it could fit on a standard HG freehub body? Backpedaling quickly during sketchy moments on technical climbs wouldn’t result in the chain dropping off the biggest gear. 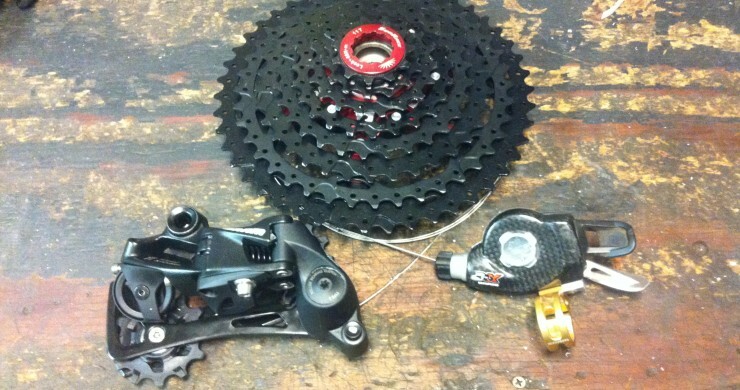 How about if it could be a wide range 1X system that’s light-weight with a cassette that has an aluminum spider? Well folks, here it is.